Jakes live band is called "The Main Street Sound". Jake formed this group out of Dallas, TX. in 2016. Born and raised in the heart of Dallas, Jovon Smith started his music career by playing keys for his church. Over the years, he has developed a solid ear for composition and specializes in music production. Between his gospel, R&B and soul back ground, Jovon hopes to continue expanding his knowledge and growth in multiple areas of music. Ashton Kyle is a singer/ songwriter based out of Dallas, TX. Ashton has been singing ever since he could walk growing as a vocalist with every band and musician he has performed with. Ashton is well versed in various influential genres and sings with an alternative rocking attitude having two albums under his belt. Through majoring in fashion merchandising at UNT, he has made it his vow to be an artist in the world while singing and dressing the part. Starting at the age of nine, Kevin picked up the saxophone and has been playing music ever since. Over time he became a multi-instrumentalist who specializes in guitar & saxophone. Playing in smaller venues such as churches, bars, local festivals to being a part of a huge tradition that is the Texas State Fair, Kevin’s experience on stage is just as eclectic as his musical stylings. Hunter Barron is a Dallas, Texas native. He began playing guitar at the tinder age of 12 and quickly fell in love with the instrument. By 15 he was modifying his guitars and eventually started building custom guitars from any parts he could get his hands on. Although he enjoys playing a wide variety of music, Hunter can typically be found bending blues solos, riffing over rock n’ roll rhythms, or strumming sweet southern rock chords. 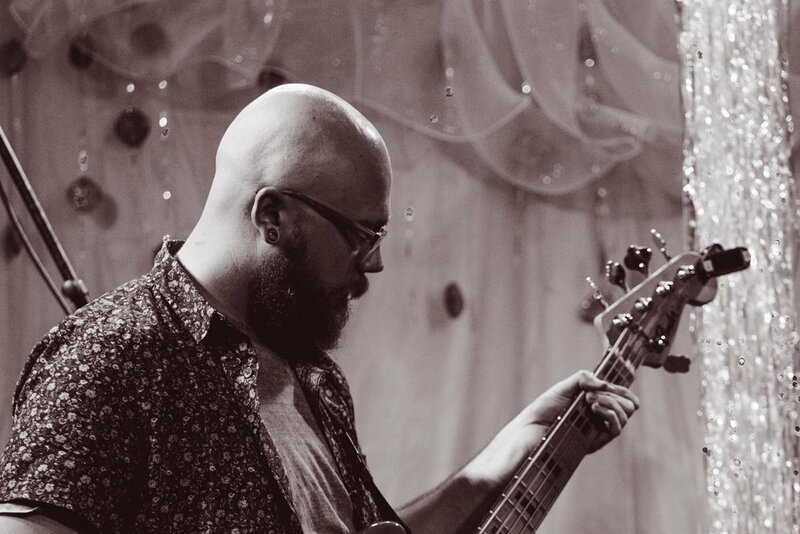 Chandler started his music career early on playing bass for a number of local Dallas bands. Growing up in Richardson Tx, Chandler spent a lot of time playing for a number of different metal / screamo / and punk groups in the metroplex. Over the past couple of years Chandler has expanded his playing and has performed with artists from just about every genre of music along with recorded bass on many different albums and has spent a good majority of his career touring and playing shows. Zack has spent the last 12 years writing, recording and performing as a drummer for many professional acts all over Texas and has even spent part of his career performing and touring in California. Between playing and writing for his group R.A.D and keeping the pocket solid with Jake Dexter, Zack also works as a percussion instructor, specializing in odd time signatures. Zack continues to push himself as a performer and you can often find him picking up gigs of all kids, from being a pit drummer for local orchestras, to sitting in on a local jazz session, Zack is always up to the challenge.